Custom slipcover workroom Click on the project lists below for my picture gallery of slipcovers. Whether you are in need of Custom-Made Furniture or Re-upholstering and Re-storing your heirlooms, Copley Upholstery Inc. is here to help! Since 1990, we have been helping you bring life back into your old and dated furniture. Boasting one of the largest upholstery shops in Northeast Ohio, we are able to provide you with the best service to fit your time-frame. We are here to provide you with one-of-a-kind furniture for your home on any budget. Broacade Upholstery Studio specializes in furniture upholstery, cushions, upholstery fabric, high density foam, furniture repair and helpful advice. If you’re looking for an upholstery shop you’ve come to the right place. We offer high quality workmanship and materials. We work with you to develop creative solutions to your office and facilities needs. If you have any questions about your furniture, or are looking for creative ways to improve existing pieces, please give us a call. If you’re better off buying new furniture, we’ll tell you. If we can save you money by reupholstering your existing furniture–and we usually can– we’ll give you an accurate estimate of both cost and timing. 3 Reasons to Choose A+ Furniture Upholstery 1. Unprecedented Quality- Our process is a thoroughly tested combination of timeless upholstery methodology combined with today’s cutting edge technology which results in the most meticulously crafted pieces 2. Unrivaled Service- We pride ourselves on our customer service and dedication to maintaining excellence. We apply a head-on approach to deal with any concerns in a timely manner that works around your schedule. 3. Expert Craftsmanship- Arkadiy’s 15 years of upholstery experience has allowed him to design a process to make sure every piece is accurate, beautiful, and unique. Every piece is crafted to its recipient to make sure you yearn to use your furniture every day. 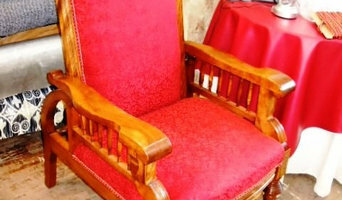 Discount outlet and online store for upholstery, upholstering, supplies, canvas, drapery, cotton, marine, boat cushion and interior, polyester, rayon, nylon, leather, silk, velvets, vinyl, linen, trims, tassels, fringe, foam, greige goods, cording, multi-purpose, multi-use and designer fabrics (retail, closeouts, supplier to interior designers. Nodding to the customs of the past, we strive to tailor each furniture piece to your specific tastes. Our advanced craftsmanship mixes traditional techniques with modern fancies to provide clients with unique and personalized treasures for their homes. Most of today's ready-made furniture is not built to last more than 5 years. 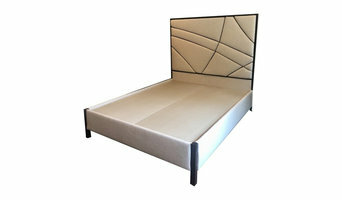 Low quality fabric and plywood frames simply do not hold up to the everyday use furniture requires. It's very likely that your well-built "old" furniture is of better quality than the majority of the new furniture on the market today. Since opening its doors in 1974, Fabric Showcase has held the highest standard of quality in the upholstery and textile business. With 3 generations of upholstery experience we can specialize in all phases of furniture upholstery. We have decades of custom upholstery experience which enables us to give each customer the personal attention required to create a piece that will meet your specific needs. We are sure you will find the perfect fabric for your project in our extensive fabric library showroom. 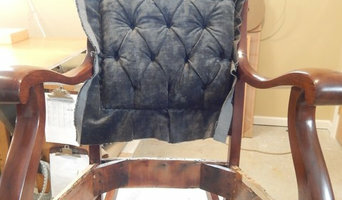 All work is done in our on-site workroom that can facilitate all of your upholstery needs, commercial and residential. From sofas to cornices, antiques to walls and ceilings, no job is too big or too small for us to handle. Our repeat customers have set a foundation of trust that our new customers can look to for assurance that we offer the best services in custom upholstery. We are a quality American company, and we look forward to hearing from you soon! 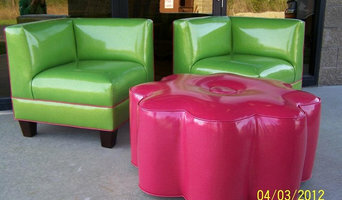 Specializing in all types of furniture upholstery. Residential, commercial, antique, marine and automotive. Custom cushions made for any application. In store showroom contains over 5000 fabrics to choose from. Free over the phone estimates and pick-up and delivery available. Since 1946, Carroll's Upholstery Co., has offered top-quality upholstery to satisfied customers all over Northeast Ohio area. When it comes to creating an environment-residential or commercial - it's all about you. Our role is to help you first articulate a vision: and then to achieve it. "At CoverAlls, you reap what I sew!" CoverAlls For Your Home is a small business dedicated to the design, fabrication, and installation of furniture coverings and window treatments. We are comprised of individuals who have spent years designing decorative home products and our consultative approach puts you in the "driver's seat" for product design. Our mission is to take your dreams and turn them into reality! At CoverAlls, we help turn your house into a home! 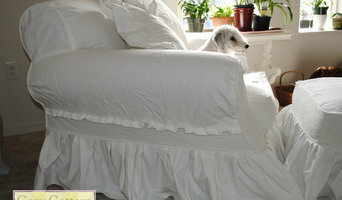 This has been the opinion of Dura-Bilt Drapery & Upholstery since its founding in 1927. One of Cleveland's oldest upholstery companies, Dura-Bilt, located in Willoughby, has been providing services for customers in N.E. Ohio that range from simple to complex. When you look around your home and see those well-worn, well-loved pieces, before deciding to buy something new, why not see if they can be given a new life...a new look? Dura-Bilt Drapery & Upholstery provides free in-home estimates, over 6,000 fabrics, pick-up & delivery service, and in-home decorator services. They are ready to restore that old beat-up piece of furniture or that family heirloom to a new beauty. Re-upholstery/upholstery repair includes redoing/outfitting items like chairs and sofas with springs, padding and fabric coverings. This can also include adding fringe, piping, tufting or additional decorative elements to a furniture piece. They can also advise you about the pros and cons of different fabrics so you can choose the best type for the project in your Brooklyn Heights home. Find Brooklyn Heights furniture repair professionals on Houzz. Narrow your search in the Professionals section of the website to Brooklyn Heights, OH furniture repair.